Inside: How much money does a blogger make? How do you make a post go viral? The top 5 most-asked blogging questions answered in detail – no BS! 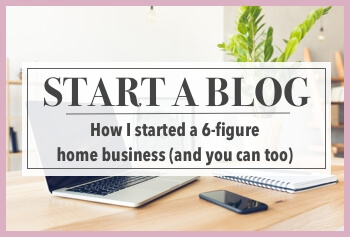 I love to research and see what other bloggers are up to — it’s one of the best ways to learn and grow your own business as well as find inspiration and encouragement. I can’t help but get excited when I read about another mama that’s making major dough working from home! It’s so inspiring and gets me jazzed up about my own blog. 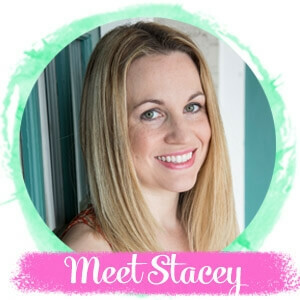 Many new bloggers reach out to me for advice, and it’s fun to help others bring their own dreams to life. Interestingly, it’s the same few questions that I get asked again and again, so obviously this called for a brand new blog post to share the answers to these most-asked questions! These are the five questions I’m asked most often by new bloggers. I see a lot of mixed information out there, so I wanted to share what I’ve learned from my own experience in 3 years of full-time blogging. No exaggerations, no BS. Just straight-up answers to your most burning blogging questions! I’ve included affiliate links for your convenience when I talk about products or services that I love and use myself; you can read my disclosure policy here. 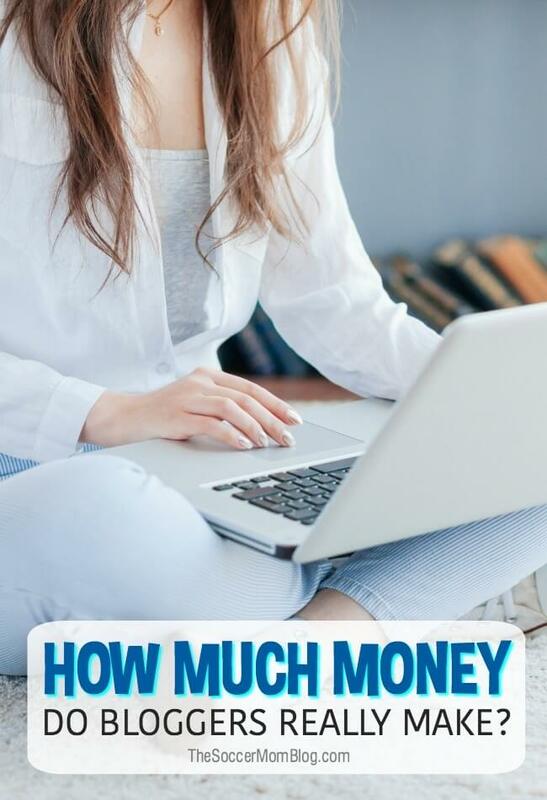 How much money can you really make blogging? Let’s be real, this is everyone’s number one question! But there’s not one simple answer. Some bloggers make nothing. Some bloggers make millions. There is no upper limit to how much you can earn as a blogger, as this is an industry that continues to grow and gain mainstream attention. I think I say it in every single blogging post I write — the only way you won’t succeed is if you quit! Every blogger’s journey will be different, depending on how much time and effort they’re willing to put in. I know bloggers that are satisfied working part time and earning a few hundred dollars a month for extra spending money. 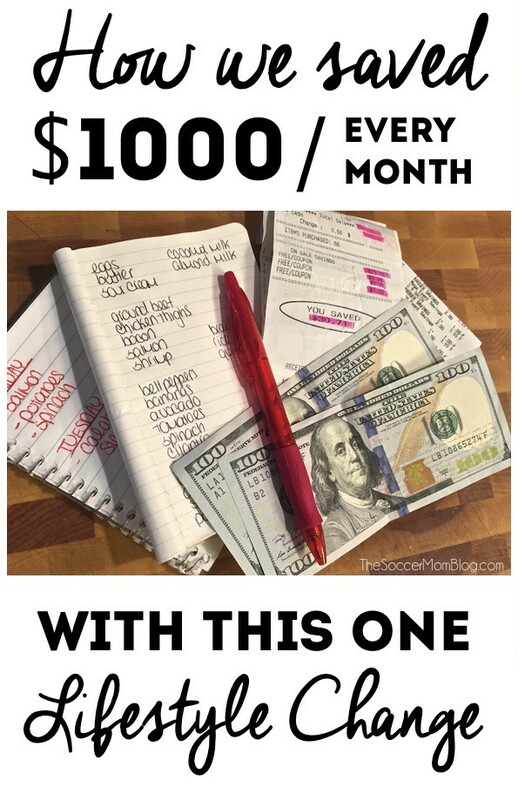 I know bloggers that make $20,000 or more a month. The first month I made actual money with my blog was six months after I created it. I made $50 for my first sponsored blog post and I was thrilled! By the end of my first year blogging I was making more per month than my previous career. It is totally possible to make a dream income working from home as a blogger and social media influencer. I say that because I’m living it! Discovering blogging has been one of the best things that’s ever happened to me, and it could be for you too! 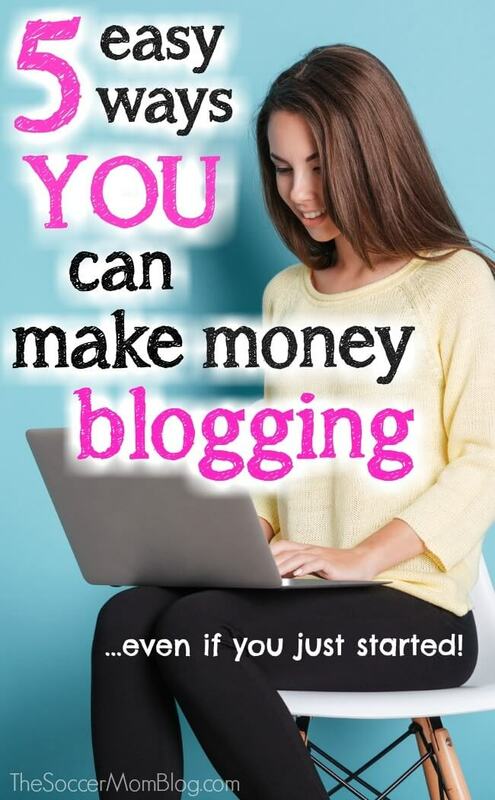 Blogging is amazing in that it has one of the lowest startup costs of any business. Many free blogging communities have strict rules regarding how you can monetize (if they allow you to monetize at all). For example, some free blogging platforms won’t allow outside ad networks or sponsored blog posts. This majorly limits your earning potential! I started on a free blogging service simply because didn’t know any better. A few months later I had to pay someone to switch my site over to my own self-hosted domain (URL). What a hassle! Web hosting is is pretty much the only service you really need at the beginning. Fortunately it’s a very minor expense! A basic hosting plan only costs a few bucks a month (less than one of those fancy coffee drinks) and it is SO worth it. I chose Bluehost when I made the switch to being self-hosted, and stayed on their basic starter plan until my site hit about 150,000 page views a month (I know from experience that Bluehost can totally handle serious traffic). Plus they offer 24/7 support (not all hosts do), which I’ve taken advantage of many times. Besides hosting, you really shouldn’t be spending much at all as a new blogger. Perhaps the occasional craft and/or recipe supplies (if that’s your thing), but skip the scheduling tools and pricy software at the start, as they’re not necessary. CLICK HERE to start your own blog with Bluehost or check out this post about why I chose Bluehost hosting as a new blogger. How many hours does a blogger work? One of the things I love most about blogging is the ability to set my own schedule. There’s a lot of flexibility — I can work in the morning with my cup of coffee or I can sit down to write after the kids are in bed. I can choose to work as many or as few hours as I like. Remember how I said blogging required an extremely low monetary investment to get started? That’s because your main investment is your time. Which isn’t a bad thing at all when you’re doing something you love! The most important thing to do is set a schedule that works for you and one that you’ll be able to keep. You can adjust it as needed — another awesome perk to blogging! What does a blogger write about? Whatever your area of interest or expertise, you can bet there’s someone who wants to read about it. Gardening, crafts, education, parenting, food, travel, fitness – the list could go on forever! Write about topics that actually interest you, otherwise it will become a chore and you’ll be less likely to stick with it. Create authentic content that adds value to your readers’ lives. The main reason people read blogs is to find answers to problems in their own lives, whether it’s a meal you can make in less than 30 minutes or how to start potty training. Solve your readers’ problems and they’ll share your posts and keep coming back for more! How do you make a post go viral? Your first viral post is a magical experience. It’s often unexpected, it’s exhilarating, and it’s a little bit stressful when the buzz starts to fade. First, don’t write about something just because think it’s what people want to read. Anytime I try to jump on a trend that’s not in my niche, those are the posts that fall flat. The posts that have gone viral for me are often the most personal. 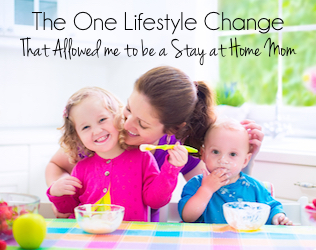 Like this post about how I became a stay at home mom or this one about breastfeeding. Why? Because I was writing from the heart and I was writing to help others going through similar situations. And those are the times when you connect most with your readers. Finally, you need to set yourself up to go viral. The following checklist is a good place to start and make sure you’ve taken care of the basics. These 5 things can prevent an awesome post from going anywhere, so make sure you’re not accidentally sabotaging yourself! Does my post have sharing buttons so readers can easily click to share on their social media? (I use the free SumoMe plugin, though there are a few other solid free options as well). Did I include images optimized for sharing on each social channel? (For example, a vertical pinnable image for Pinterest). Is my post formatted in a way that is pleasing to read, with clean fonts, clear headings, bulleted lists when applicable, etc? Have I proofread for correct grammar and spelling? Did I avoid curse words or language that could unnecessarily turn away readers? Did I include a call to action asking readers to comment, share, etc. and/or did I link to my other relevant posts on the topic to keep people on my site longer? One of the keys to going viral is to set yourself up for success — you need to find a way to make yourself stand out from the crowd! For example, Pinterest is often the biggest traffic sources for bloggers, but you’re pins will be competing against millions of other pins! Pins that Produce is a self-paced course I created which shares the “secrets” I use to create Pinterest pins that get clicks (and page views!) This is how I tripled my Pinterest following in just 3 months and how I build a blog that gets hundreds of thousands of visits every month. The lessons taught in this course will show you step-by-step how I create the images I share on Pinterest, and they’re simple enough that anyone can do it! I’m always amazed by the images my students share using what they learned – these tricks are that powerful! Click here for more info about Pins that Produce – take your Pinterest images and blog traffic to the next level! Even if you do all of these things, there’s no guarantee that a post will go viral. A lot of it has to do with luck — posting on the right topic, in the right place, at the right time, and getting seen by the right people or getting a big share. The number one way to improve your chances for going viral is to keep writing and keep working to improve your craft! 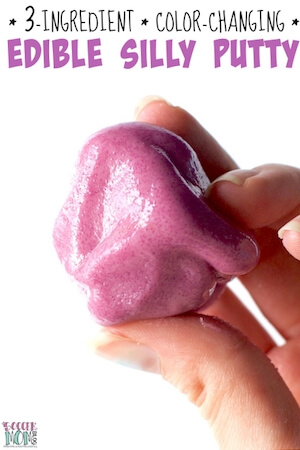 « Edible Chocolate Slime Recipe – Only 3 Ingredients! Good advice that everyone should follow. The best part about this post is that the advice is straightforward and easy to follow. Thank you for the advice. Everyone tells me I need to niche down. I currently blog about various mom topics (recipes, activities, advice, etc..) What are your thoughts on focusing on just one area?